I'm really pleased so many of you are interested in starting to stitch. 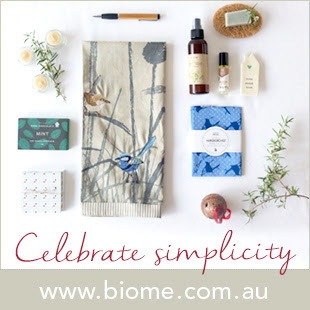 It's a wonderful way to make beautiful gifts and it will help you create a 'uniquely you' home. These little stitcheries can decorate cushions, tote bags, quilts, aprons, dresses and cardigans as well as be made into wall hangings. They can be personalised by adding someone's name and you can add your favourite sayings by printing the text out at the right size from your computer and transferring that text to your fabric. Stitchery is just a drawing on fabric that you colour by stitching the lines with coloured thread. If you're a good drawer, go ahead and freehand your pattern straight on to your fabric. If you need some help with design, there are some of my free patterns below that you can trace. Please modify them to suit your tastes too, I don't mind at all. I have written about starting stitchery before, so please read this and be guided by the links for transferring designs onto fabric and how to do back stitch. A fully equipped thread box will take a while to build up, but start with your favourite colours and slowly take it from there, adding new colours or different shades when you can afford them. Try to buy pure cotton or pure linen fabric. They are lovely to work with, sit nicely on other fabrics and will last a long time. 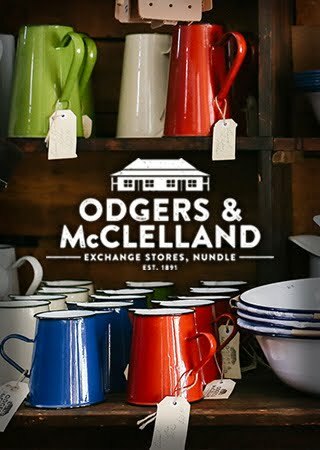 If you're in Australia, I've recently found "handkerchief linen" at Spotlight. It's a very nice fabric and a half metre will do you nicely for a few projects. 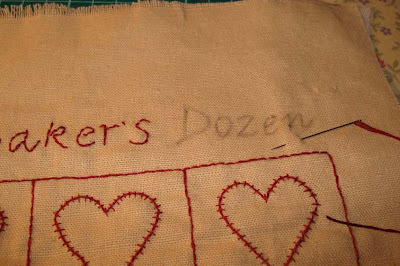 You will also need a backing for the fabric which helps anchor your stitches and gives a better finished result. If your local fabric shop doesn't stock this, you'll find it at your craft store. When you choose your first piece of thread you'll notice the thread has six strands. 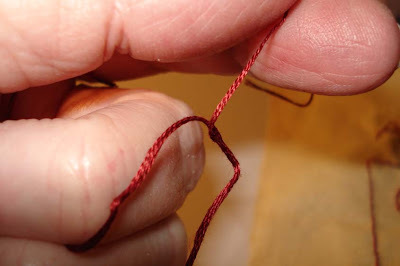 You will only work with two strands at a time so you have to divide the thread, taking two strands for your work. 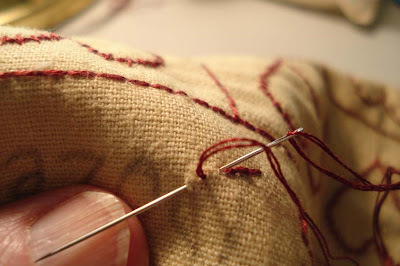 You do this by cutting the required length of thread, don't make it too long, and then carefully pulling two threads away. Untwirl the main thread as you go. The one stitch you'll use more than others is back stitch. 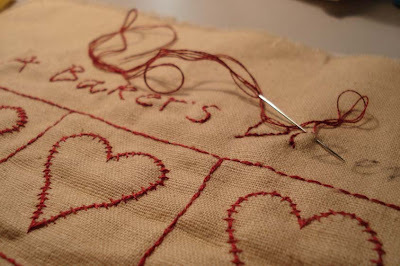 Practise a few lines of back stitch before you start on your pattern. It's personal choice whether you use a hoop or not. I use one sometimes for smaller patterns, otherwise I just hold the fabric. Like everything else, this is about developing your own style and seeing how you work best with it. Learn the basics and then modify it to suit yourself. Stitchery is a wonderful thing to do in summer or winter and it's very portable so you can take it with you when you go out. I hope you enjoy this very likeable past time. Like everything else in our lives, start slowly, buy the best quality fabric you can afford and be mindful of your work. People have been stitching for hundreds of years so with your stitchery you are joining the long tradition of handmade craft. My patterns are here, here and here. ADDITION: I've just found this wonderful embroidery tutorial on Purlbee. 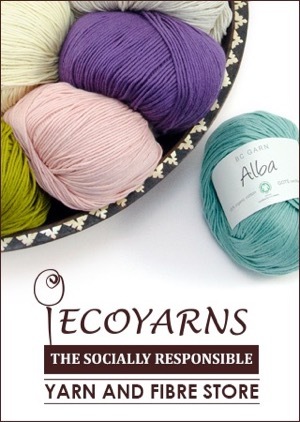 If you know of any good free pattern sites, please share them with us. As usual, beautiful work Rhonda-I feel so lucky to have a bit of your stichery which I framed and hung in my kitchen so I can see it all the time, every day. Its like a hug from a far away, but very dear friend! Well I know what I will be doing tomorrow.Sorry knitting but you will have to wait while I have a try at freestyle stitching. Thanks so much Rhonda Jean for posting this. I have to be careful because I could stitch all day:) I love....the fact that you make your own designs. I can't believe I haven't thought of this. I have bought so many books with designs in them and of course many, many kits. I am so glad that you had a post on stitching:) I also like to crochet but in the summer I can sit in my swing and stitch all day long how about today.....No it's raining:( I can still stitch indoors Hurray! I'm looking forward to being out of school in 12 days and then I can try my hand at stitching. Thank you so much for your patterns. Like Sharon said they are like getting a hug. Thanks for sharing your patterns and encouraging words. I look at you stitchery I won every day. I love it! thanks for the patterns! i have been coveting the piece you have displayed on your blog for a long time! Thank you so much. 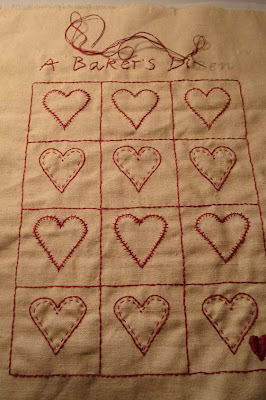 After finishing my current project I just may have to do some stitching of my own. It has been so long! It's about time. Dear Rhonda: Thank you for sharing your wonderful work. I started to hand-stitch just a bit ago, and I am definately hooked! I don't know what to say except thankou, thankyou, thankyou! I simply couldn't believe my luck. It's been such a bright spot in my day, you have no idea. We've had a bit of a run of difficulties lately and have just come home from finding the cause of my daughter's heart problems which had been making her very unwell (a huge relief as it is easily fixed). Things all usually come at once don't they! I wish everyone could have won. Thanks to all the well wishers. You can all be assured it will have pride of place in my home and I'll think of you, Rhonda, every time I look at it and be so grateful. I'll have to wait until DH gets home tonight to help me with the email process. Thankyou again. I'll be floating on cloud nine all day today. I can't wait to get started on a stitchery project of my own. I quilt and have done some on my quilts but not on such a grand scale. Now, I feel that I must! I'm sorry for not commenting lately. We've been rather busy around here. One of my darling barred rocks, Ethel, has vanished. I am so upset I can't think straight. She's such a tiny thing. I keep hoping that she just wandered off some place and is perched just snoozing away. My heart tells me that she is no longer with us though. I know that I am silly for getting so attached. Josh does the same thing. We spent a ridiculous amount of time searching for her and then felt utterly defeated when she wasn't home by nightfall. Somehow, I just knew that you would understand. Thanks for this Rhonda - I really appreciate the non-condescending tips for beginners like me. Will be giving this a go once I've mastered my beginner knitting project! I love the simplicity of this piece you are working on - red and buff are a wonderful colour combination! Thanks for posting these links. I didn't realise you had stitchery patterns up. They're all so pretty I don't know which to do first! Thank you for sharing your patterns! You are so generous. hello rhonda, since some days I read again and again in your contributions. while, I have noticed many do I have always been the case. I changed some things in recent years. and otherwise, I would like to develop in the future. 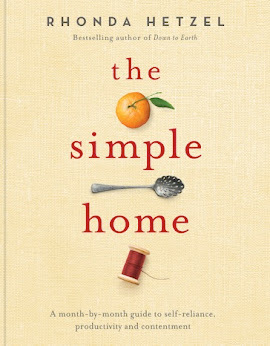 I did not "simple life". this is a good name for it. I like your blog, and I thank you for many ideas. since my childhood I make handmade and your good records like me, I will certainly your pattern. My favorite is redwork - so relaxing! Thanks again Rhonda! 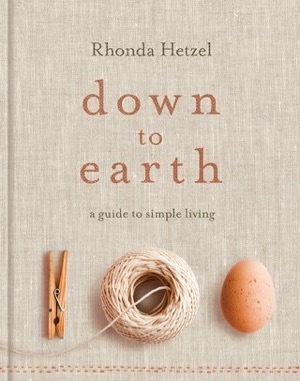 I really want to start doing some stitcheries and now just need inspiration to strike. I want to make a gift for a very special carer. :) Thanks again. Thanks for the tutorial links! The bummer about library books on embroidery is eventually having to return them. Having access to the basics online is wonderful. I was pleased too, to see that winning the stitchery was a boost for Marilyn at such a difficult time. 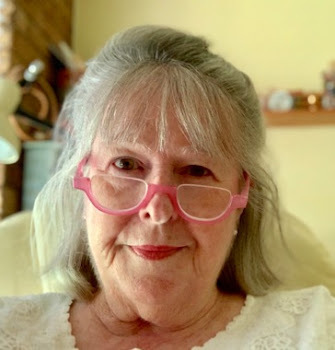 Thanks Rhonda, I have just found your site and I am hooked. I started a stichery on Friday and we had already decided to get chickens, so we are off to the fodder store tomorrow to work out how much it will cost to build our chicken coop, even though everyone here thinks I am mad, I think I have found some kindred spirits on here. Thank you for this wonderful blog. I found you through Deb at Homespun Living, but you seem so familiar that I think I may have found you a few months earlier through another route. lol Perhaps through The Blue Nymph. Our daily bread and vegies - UPDATED ... AGAIN!